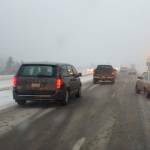 No matter the destination, every winter driver needs to be prepared if something goes wrong. Winter is coming, and with it white-knuckle driving through dizzying snowstorms on the way to those absolutely epic powder days — or just a trip to a friend’s place out of town. What could be just a minor problem in warm conditions, could be downright disastrous in winter without the proper gear. Be prepared for breakdowns, spin-outs, highway mishaps, or simply getting stuck in the snow with this winter-ready gear list. A phone is your first lifeline in the event of a breakdown. But cold weather tends to sap batteries fast. There are a few options to recharge, including plug-in units and hand-crank chargers. Pick up a charger that plugs into a car’s 12-volt auxiliary source (“cigarette lighter” outlet) like the Guardian Angel Car Charger ($17.99). 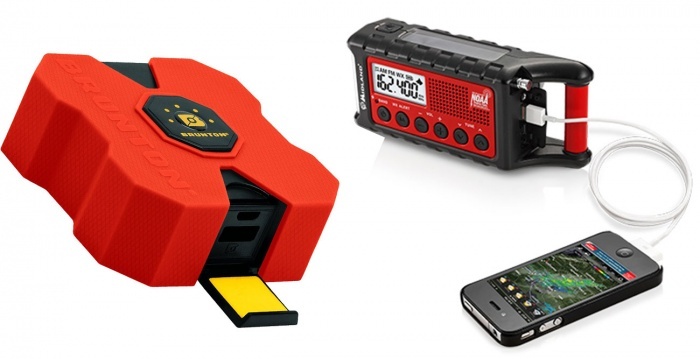 Another option is the dual-duty Midland Digital Emergency Crank Radio ($79.99), which has a crank-arm to generate power and a USB port that syncs with cables from most any phone. Vehicle breakdowns in cold weather mean no heater. One blanket for each person in the vehicle is recommended. Old-fashioned (and inexpensive) wool or wool-blend blankets are great. Heat-reflecting “Space blankets” are inexpensive and take up almost no room, but they are not as warm as wool. 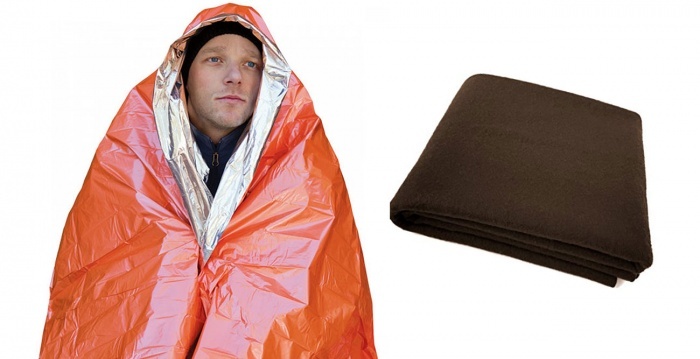 The Adventure Medical Kits SOL Emergency Blanket ($3.99) is small and affordable. Buy a few and keep them in the car just in case. A compact snow shovel is key in snowy climates. Storms in the mountains or northern parts of the U.S. can drop feet of snow in a day, making that parked car immobile until you shovel it out. A trip to the ditch can sometimes be fixed with a shovel. 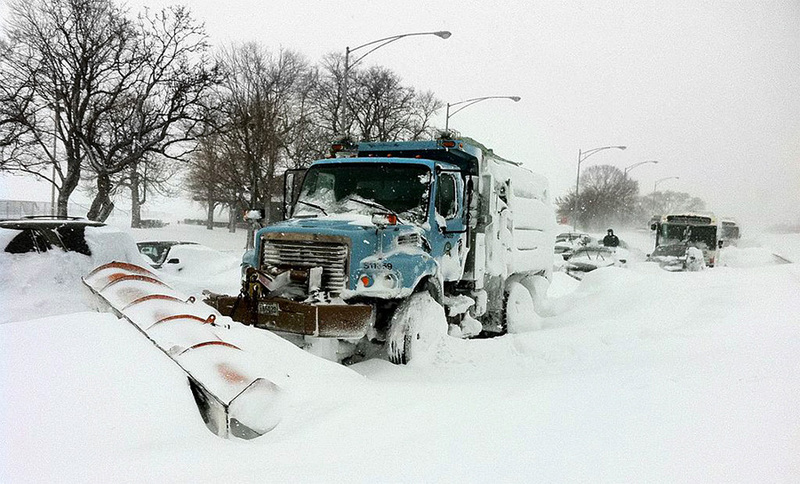 Plows can stick you behind massive snow berms, so stow a shovel that can handle hard pack. We like the Gerber Gorge Shovel ($18.99). Winter wear is your survival suit in a storm. A full winter kit will take up a lot of room in the car, but be sure each person is outfitted with enough clothing to spend at least an hour (longer in remote areas) outdoors when venturing out in cold weather. Don’t skimp on the basics. If you’ve ever needed to change a flat tire at night, you know just how critical a flashlight can be. A crank-powered model saves you from worrying about dead batteries, though a headlamp will keep you hands-free while you work. (Tip: Don’t rely on lights that plug into the 12v outlet; they don’t work if you have a dead car battery.) The Goal Zero Torch Crank Light ($29.99) is a reliable light that works off a rechargeable battery but can also be powered with a crank by hand. Icy roads and gravity can work against a vehicle trying to make its way uphill on a remote stretch. Or, you might need added traction if stuck in a ditch. A sealed container of sand or grit rock can offer ad-hoc traction if thrown under the tires. 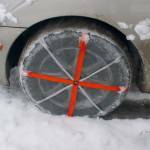 It gives grip on slick snow or ice where no tread can grab hold. How many times have you been approached in a parking lot in the dead of winter by someone looking for a jump (but they don’t have cables)? Yeah, don’t be that guy. You probably won’t need an elaborate kit, but bandages, antiseptic cream, antacids, and pain relievers will solve many issues. If someone in your family has allergies, consider adding the appropriate meds for them as well. The Statgear Auto Survival Kit has the basics. A common reason people become stranded? Running out of fuel. A collapsible fuel container will fold flat until you need it. This way, you don’t need to rely on a service station having a spare gas can available after you hike to the pump. If you’re stranded, you will want some way to flag down passing motorists to get help. A brightly colored bandana can be tied to a disabled vehicle as a widely recognized signal for help. Road flares are a good option, too, and will greatly increase your visibility on a stormy night. It takes a little skill and can result in car damage if not done correctly, but a tow strap can get your car out of a shallow ditch and save a bundle in tow-truck charges. Especially in remote areas, be ready to rig up reliable, strength-rated tow straps if you get stuck. Just be sure the vehicle pulling on the other end is capable, use strong points on both the towing and towed vehicle (not the bumper! ), and beware of traffic and other hazards. Even if you don’t know how to perform basic car repairs, someone who stops on the road to help out just might. 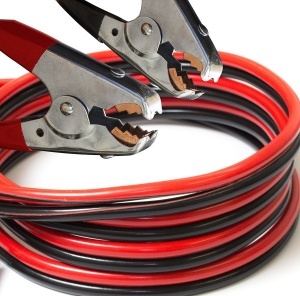 Carry tools that can do many jobs — pliers, screwdrivers, wrenches, hammer, duct tape, electrical tape, and a sharp knife can do the trick for many roadside fixes. You should also have spare fuses and a jug of coolant. 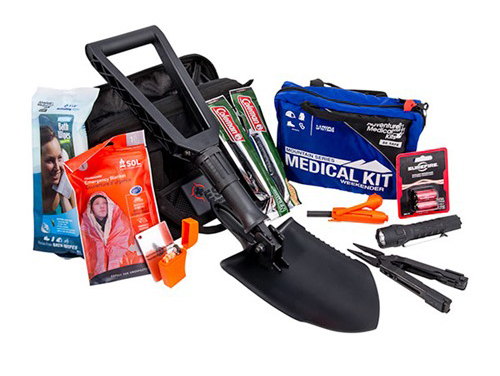 The ESG Essentials Car Kit ($224.99, pictured below) has tools as well as other survival equipment. Does your car have a spare tire and a jack? Be sure you have both, as well as a tire iron. Check your spare regularly to ensure it is inflated properly. Know how to change a flat. It might take some time for help to arrive, and snacks keep you occupied and quell some of the complaints from the back seat. (Consultant Jim Cobb said he keeps a jug of water, paper cups, and snack mix in a cooler in the back of his family van.) Be sure to leave plenty of headspace in the water jug to allow for expansion in freezing temperatures. It may sound trivial, but you could end up sitting for hours while waiting for a tow truck. Have a paperback book or a deck of cards to pass the time. If children are in the mix, double up on the entertainment supplies to keep kids occupied in the idle winter time. next:Why Did 35,000 Walrus Beach Themselves?